Christie made the comments to reporters after a town hall meeting in Marshalltown, IA, on the final day of his three-day holiday swing though the state. Just 33 days out from the Iowa caucuses, Christie has been touting his executive experience over other candidates to voters at stops throughout the state — telling them not to elect another senator to the White House. Christie’s comments come as a Super Pac supporting former Florida Gov. Jeb Bush, also released an ad attacking Rubio for putting “politics first.” The ad highlights Rubio’s missed votes and absence from national security hearings in the wake of the terrorist attacks in Paris and San Bernardino. 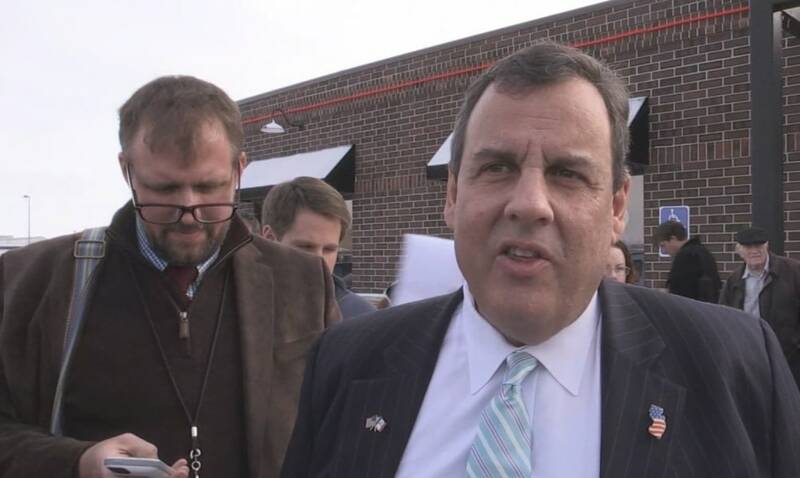 Christie told NBC News his tougher tone isn’t a reaction to the shrinking proximity of the caucuses. Instead, he says, it’s about drawing distinctions. “I’ve been in enough campaigns and in enough really close campaigns in a really difficult state for republicans to win,” Christie said. “If they think this is tough now, we’re nowhere close to tough yet." "It was hardly an attack. If Marco’s that thin-skinned, he doesn’t belong in this business,” Christie concluded.